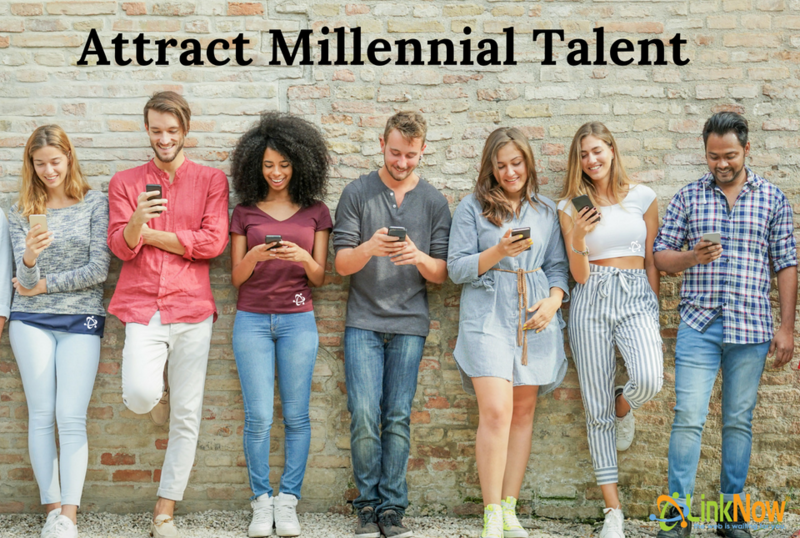 Six Things You Can Do to Attract (and Hold Onto) Millennial Talent ‹ LinkNow Media | We're Hiring! I think by now we can safely say that EVERYONE is sick of hearing people complain about millennials. It’s not only boring, but it also discredits a whole generation of extremely well-educated, hard-working, and talented people. At LinkNow we’re not about this at all. In fact, it’s just the opposite. The workplace we’ve built is primarily, though not entirely, made up of millennial talent. Many of our employees have stuck around for four, five or six years! For a demographic that’s been branded as fickle and whiny, that’s a big commitment. We know we’re not perfect. We know we have a long way to go. But we believe that some of the tricks we’ve used might pay off for other growing companies. So here are six things you can do to attract and hold onto the best and brightest in your field! The vast majority of millennials have been through some form of post-secondary education. They make up one of the most highly educated demographics in history. In order to keep your employees happy and fulfilled, don’t just offer one-day training seminars. Integrate learning and career building skills into day-to-day work. Millennials will not stick around if they think there’s no mobility in your company. Don’t make the mistake of many start-ups and put all your energy into creating a sense of purpose for the company as a whole. Millennials are smart and can see through it. What they want is a real sense that they have a productive role in making the company what it is. If you hear that one of your employees is interested in working in another department, and you trust their capabilities, train them for it! Hiring internally can be a great way to create a sense of purpose within your company. Real achievable goals. Millennials will not take crap. If you hire managers and leaders that bully others, or are not relatable, they will lose respect. And you will lose talent. You don’t have to hire people that want to be everyone’s friend. But your company leaders need to be able to speak on the level of the people they’re managing. For example, in the 2018 Deloitte Millennial Survey it was reported that 36% of millennials believe leaders must have strong interpersonal skills, but only 26% saw their organization working towards this. Values are very important to millennials. That means creating an open and accepting workplace that celebrates cultural and lifestyle diversity. Do not put up with bigotry and other kinds of bullying. There should be no place for that kind of behavior in the workplace, no matter what industry you’re in. Millennials care about their mental and physical well-being. Offering a good health care plan is a great incentive to keep employees with you. Another good trick is to be lenient (but not too lenient) with personal days and sick days. When an employee gets sick, the stress of feeling like a liar can put them over the edge. Plus, when sick people come to work they’ll infect the rest of the company. Creating a clear and flexible structure can do a lot of good for your employees physical and mental health, as well as their productivity. Offer good vacation and flexible time off. Millennials are curious and adventurous. They do not believe that this job will be their last. So a great way to keep them on your team is to create incentives that make the daily slog of work more manageable. Vacations are a great way to do this. And many companies are now offering unlimited time off as well. It still means meeting project deadlines and getting the work done. A reward at the end of a busy period has been shown to improve productivity and morale at the same time. Can Employee Dissatisfaction Actually Be a Good Thing?